An act of kindness transformed Liu Ping from a factory worker into a passionate anti-corruption activist in China. 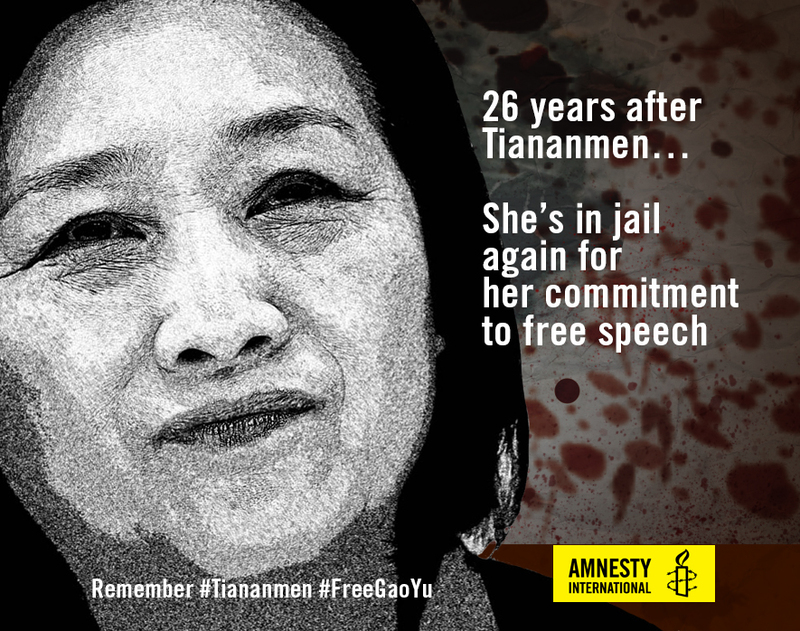 Her daughter, 22-year-old Liao Minyue, tells their story. My mother, Liu Ping, was just an ordinary Chinese woman with a kind heart. We were very close. I chose to live with her after my parents divorced about 10 years back. We never fought, not even once. We used to go to the markets to collect old and unwanted vegetables for food. It never once struck me as anything to be ashamed of. On the contrary, those were warm and intimate times, because we were together. 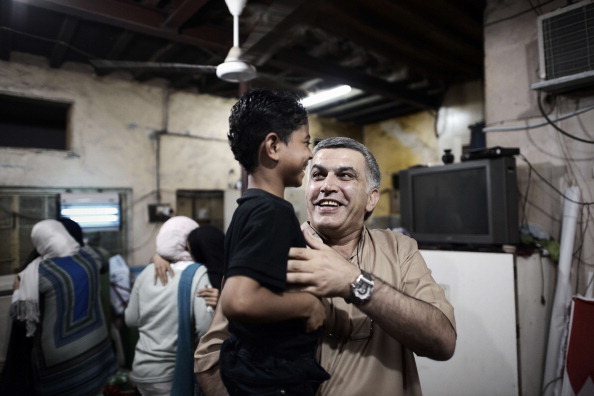 Nabeel Rajab carries the son of Abdul Aziz al-Abbar, a Bahraini man who died from his wounds on February 23 after he was shot during clashes between police and protesters (Photo Credit: Mohammed Al-Shaikh/AFP/Getty Images). In the last 30 days, two unjustly imprisoned men walked free – thanks to you. 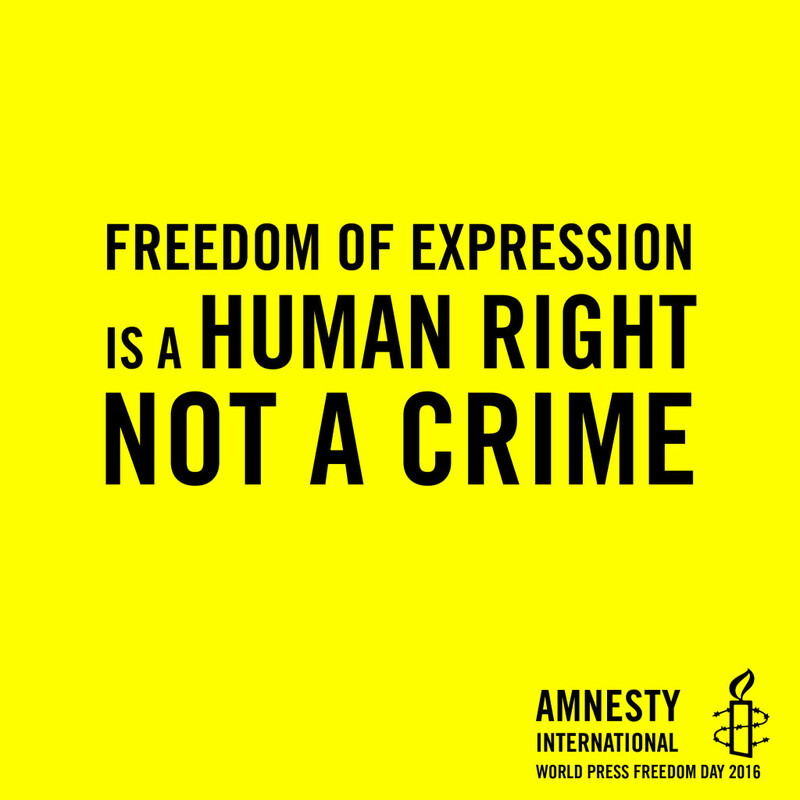 Your support as an Amnesty activist helped secure the release of prisoners of conscience Nabeel Rajab in Bahrain and Dhondup Wangchen in Tibet. How Many Different Ways Can the World Fail the Syrian People? 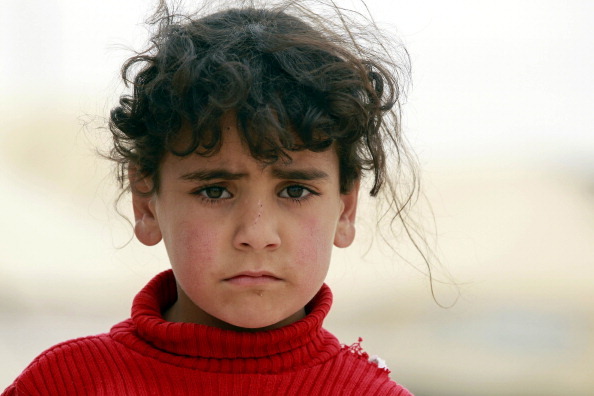 The U.N. now numbers the total of displaced persons in Syria at 6.5 million. 2.8 million more have have fled the country and are now in refugee camps in Lebanon, Jordan and elsewhere, overwhelming authorities in those countries (Photo Credit: Khalil Mazraawi/AFP/Getty Images). How many different times can Russia and China stand against justice for human rights abuses in Syria? Yesterday, Russia and China vetoed a French resolution before the United Nations Security Council to refer the situation in Syria to the Prosecutor of the International Criminal Court (ICC) for investigation of war crimes and crimes against humanity. Do You Know What Happened in Tiananmen Square in the Spring of 1989? On April 27, 1989, 200,000 students marched from Peking University to Tiananmen Square (Photo Credit: PBS News). In April 1989, former general secretary and chairman of the Chinese Communist Party Hu Yaobang died of a heart attack. Hu advocated for political and economic reforms while in office. He was forced to resign for taking a soft attitude towards the student protests in 1986. 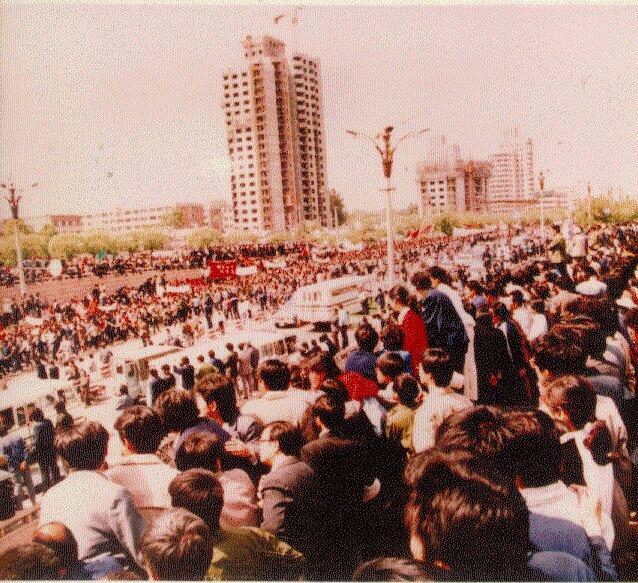 His death brought on the gathering of university students in large numbers in Beijing calling for affirmation of Hu’s view on democracy and freedom. Within days, the student gatherings transformed into pro-democracy protests demanding freedom of the press and an end to corruption. Their demands drew wide public support. Workers and ordinary citizens joined in. Peaceful demonstrations took place in Beijing and throughout China. 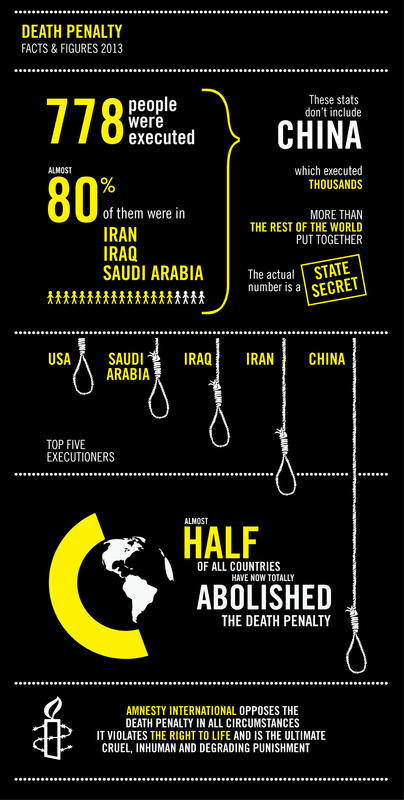 In advance of the release of our 2014 Global Death Penalty Report tomorrow, here are 5 of the most common misconceptions about the death penalty. The death penalty deters violent crime and makes society safer. There is no convincing evidence that the death penalty has a unique deterrent effect. More than three decades after abolishing the death penalty, Canada’s murder rate remains over one third lower than it was in 1976. 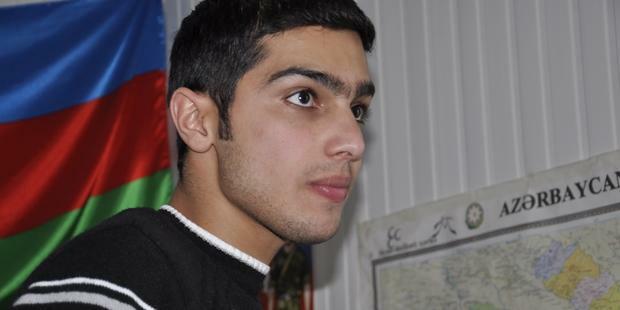 Azerbaijani youth activist Jabbar Savalan was released from prison in December 2011 (Photo Credit: IRFS). Azerbaijani youth activist Jabbar Savalan could hardly believe his eyes the first time guards at the prison brought him a bag full of letters. They mostly came from people he had never met before, from countries he had never visited. They were all telling him to keep strong and that they were putting pressure on authorities in Azerbaijan to release him. 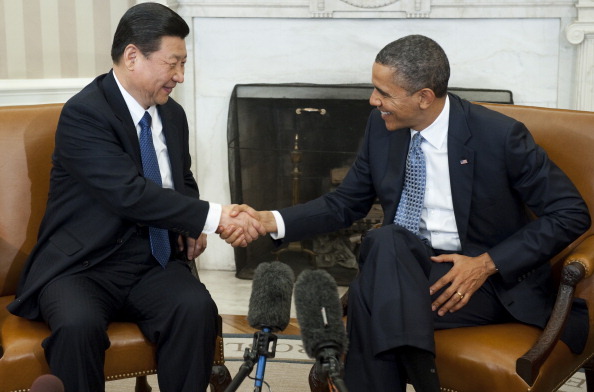 US President Barack Obama and Chinese Vice President Xi Jinping last met in February. When they meet again this week, they should not shy away from the topic of human rights (Photo Credit: Saul Loeb/AFP/Getty Images). As President Barack Obama and President Xi Jinping of China begin discussions designed to forge closer personal bonds between the two nations, they should not shy away from uncomfortable topics. President Xi says he wants a “new type” of great power relationship with the United States. President Obama says he welcomes China’s peaceful rise, provided that it occurs in a way that reinforces international norms and enhances security.These statements suggest that neither leader is comfortable with the relationship as it stands, and both are seeking greater clarity and trust.